No one in North Hollywood collects cans and bottles with more style and whimsy than this man. 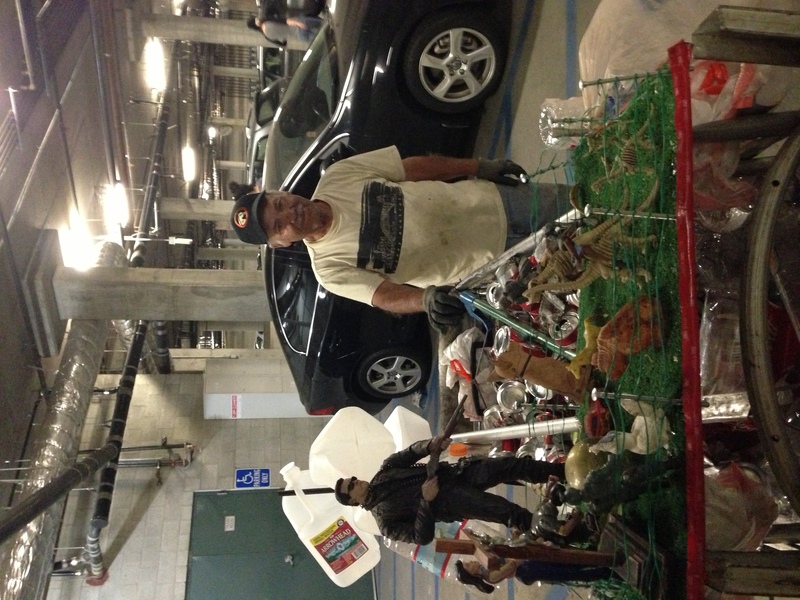 My Spanglish was good enough to get a shy smile and permission to snap his photo in my apartment building garage, but not enough to get the story behind the diorama featuring Jesus, dinosaurs and ponies on his shopping cart. 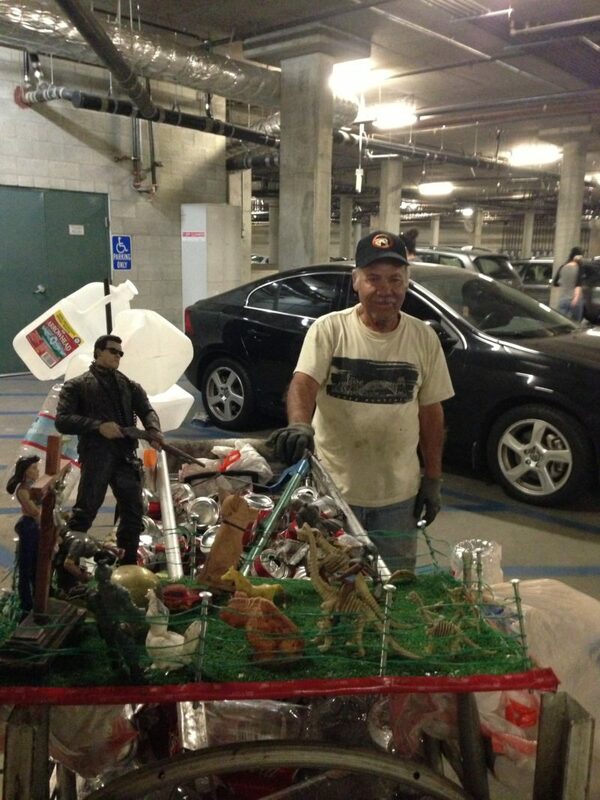 Love his creativity. Quirky, wonder what his story is.